CIMBA is an exceptionally unique opportunity for University of Iowa students. UI students have the convenience of having the US office on campus in the Tippie College of Business. Please drop in and chat with us! We have program alumni and staff available to talk with you about everything CIMBA has to offer. Students who have not yet decided about studying abroad with CIMBA should let their academic advisor know of their interests as soon as possible. They may be able to help identify the best session to attend and a coursework plan for upcoming semesters. UI students should pay attention to the departmental or college-wide requirements for study abroad. UI students in the Tippie College of Business must have a GPA of 2.75 or higher to study abroad. UI Tippie students with a lower GPA may be able to appeal their admission decision. UI students in all other colleges default to the CIMBA admission requirements. UI students should apply using the application portal. UI students are NOT required to submit an official transcript. All UI students are required to complete the Iowa Advisor Form either during the application process or immediately following admission to the program. To complete the form, students should first meet with their academic advisor to discuss course offerings and requirements. Then students should schedule an appointment with the CIMBA advisor, Ana Jimenez, in the office of study abroad. This appointment typically takes less than 15 minutes. Students may schedule an appointment by calling or stopping by the study abroad office in the Old Capitol Mall. Return the completed Iowa Advisor Form to the CIMBA office in the Tippie College of Business. Due to the program length, US and EU citizens are not required to obtain a visa to study abroad with CIMBA. International students with other citizenship will need to obtain an Italian study visa for any CIMBA programs. The University of Iowa is the credit granting institution for all CIMBA coursework. Courses taken at CIMBA are considered courses from the UI home university and students will not need to worry about determining course equivalencies. All coursework will automatically be recognized on the students UI transcripts and will be calculated into the student’s cumulative GPA. While participating in CIMBA, UI students will not pay University of Iowa tuition. Instead, they will pay the CIMBA program fee. CIMBA fees will be billed through the same UI Billing Office via MyUI (U-Bill system). Please note that payments will be due earlier than the traditional UI semester billing dates. Be mindful that any automatic payments set up in this system will also apply to CIMBA tuition charges. Specific instructions regarding billing will be provided upon program acceptance. The University of Iowa also charges a study abroad fee for all UI students wishing to study abroad. This fee is not included in your CIMBA tuition and will be billed separately to the student’s U-Bill. For questions regarding this fee, please contact the International Programs – Study Abroad Office (see below). Most financial awards for UI students will also be applicable to CIMBA. However, there are exceptions and students are advised to meet with a financial aid advisor to let them know that you plan to attend CIMBA. This will allow them to reassess your financial aid package for that given academic year. Several UI departments and colleges also offer generous scholarships for UI students studying abroad. The UI International Programs – Study Abroad Office offers need and merit based scholarships, as well as diversity and external scholarships to all UI students participating in an approved study abroad program, such as CIMBA. Information regarding how to apply for these scholarships can be found here. The Tippie College of Business also offers several scholarships for UI business students through the Undergraduate Programs Office. External scholarship opportunities also exist for Iowa residents. Students are encouraged to apply for the Jeff Zimpleman Iowa Sister States Scholarship as CIMBA is located in 1 of just 9 eligible regions. And, of course, don’t forget to check out the financial award opportunities that CIMBA offers! 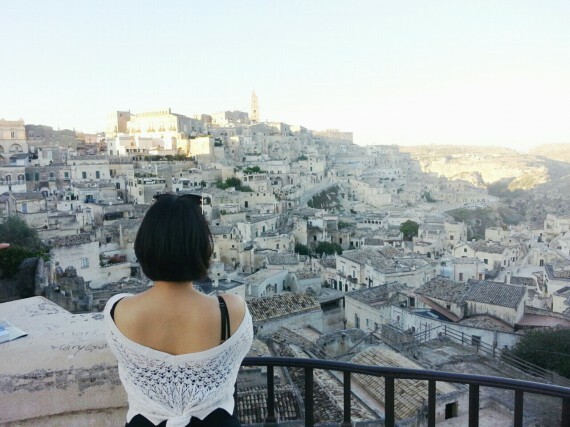 If you’re in the University of Iowa Honors Program, also check out information on how to get honors credit while studying abroad in Italy!